The 2011 ITTF Pro Tour culminated with the Grand Finals which took place in London, England from 24-27 November 2011 and the event was also used to test out the 2012 Olympic Games venue. All the results from the Grand Finals are here. To discover more about the ITTF Pro Tour, you can read all about it here. 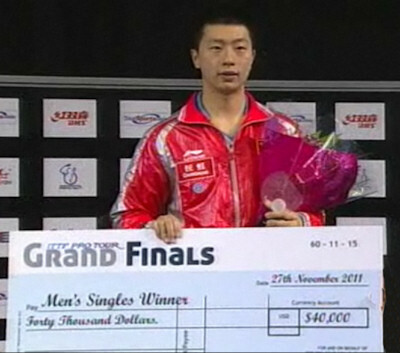 The 2011 ITTF Pro-Tour consisted of 16 international tournaments leading up to the Grand Finals held in London, England. 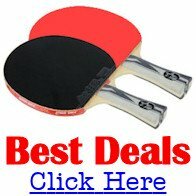 So what were the tournaments which made up the ITTF Pro Tour in 2011? And who won the Men's Singles? The prize money varied from tournament to tournament, but the overall purse for 2011 was $2,535,000. The top event, the (second) China Open in August 2011, offered a total purse of $330,000 ... with the men's and women's singles winners receiving $33,000 each. The Morocco Open offered the least amount of prize money, with a $20,000 total purse. The men's and women's singles winners received $2,800 each. The best players in world table tennis gathered for the Grand Finals from 24-27 November 2011, in London, England and the event was also used to test out the 2012 Olympic Games table tennis venue. So here is the list of the men who were invited to take part in the 2011 Grand Finals. Although two players (Timo Boll and Chen Qi) had accumulated sufficient Grand Prix points, they didn't meet the additional qualifying criteria of competing in at least six tournaments or playing on at least three continents.